The new Four Winns H230RS takes a good thing and makes it better. The luxurious Horizon 290 may have been Four Winn’s biggest introduction for 2014, but the new H230RS, based on the H230 introduced in 2011, is also newsworthy. 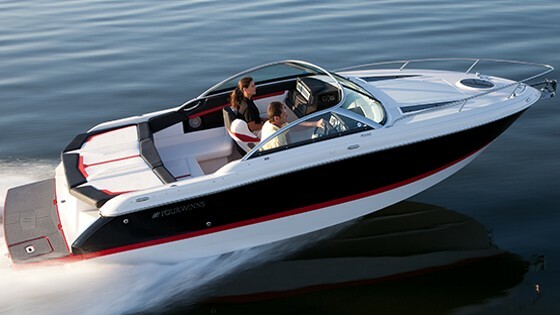 The RS version takes this model and moves the needle farther to the right, in terms of the boat’s stylistic flair and fun factor. The H230RS has in-gelcoat graphics that are a bit of a departure from most runabouts on the market, and that’s a good thing. 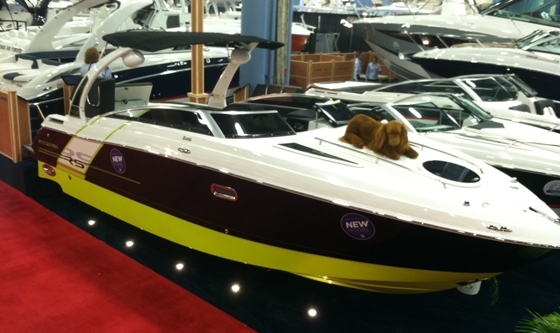 Key to the fun of the H230RS and to all Four Winns models is the company’s proprietary Stable Vee hull. The hull holds utility and design patents, and essentially, it has three basic elements. The aft section of the boat is as wide as possible as far forward as possible, as is the deadrise angle, to enhance lateral stability. And for cornering and coming on plane, after pods provide “grip” in turns. A Stable Vee hull will turn as sharply and crisply as your nerve and your passengers will allow, which is handy if you ever have to make evasive emergency maneuvers. 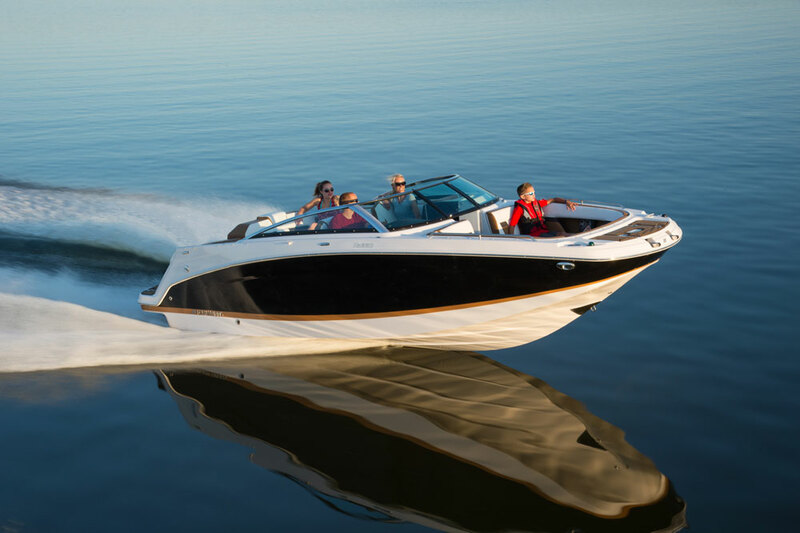 Hull dynamics aside, the H230RS offers families a great platform for getting out on the water. The boat is most often shown with the towing tower, which is an option. If you have kids they’re going to want to go wakeboarding, and they’re going to insist you check that box. They’ll probably ask for the premium sound system and tower speakers, too. The tower couldn’t be simpler to operate. Just remove two pins to fold it down to rest within the width of the wraparound windshield. 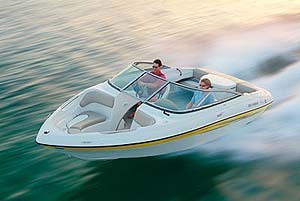 Of course, any kind of water sports mean you need a usable swim platform and aft section, and the H230RS fills the bill. For example, the starboard cushion of the sun pad flips up to form a raised headrest, or flips up and over to reveal a walk-through to the cockpit. Four Winns devised a nifty seat cushion that flips up and out of the way so those entering via the walk-through won’t tred on the upholstery, though this seems like one of those features that wouldn’t be used much because it’s easier not to. Anyone who is barefoot will just walk on the cushions, anyway. Once they get inside, they’ll find an abundance of stowage under the side and aft cushions. Each cushion supports itself when raised so you don’t have to hold it up with one hand while you’re trying to fish out a life vest with the other. There’s also an ample locker belowdecks, with a lid supported by a gas strut. Rather than using a plastic woodgrain or faux metal dash appliqué on the dash, Four Winns went with a faux carbon fiber panel contrasted with colors from the gelcoat scheme of the boat. It’s clever and it works well when set off with hand-stitched upholstered cushions above and below. Two multifunction gauges are set far enough apart that you don’t have to look around the steering wheel to see them, which show thoughtfulness of design. The steering wheel and switch gear are first rate, too. Up front, the bow also shows a lot of thought, and for a couple of reasons. One, the forward-facing lounges feature angled backrests for comfort, but also a recessed area around the occupants’ shoulders that let you sit comfortably without feeling squeezed. That recess leads to a grab handle within easy reach. What’s more, the back and seat cushions flip up, though the backrest cushion could use a supporting strut, too. 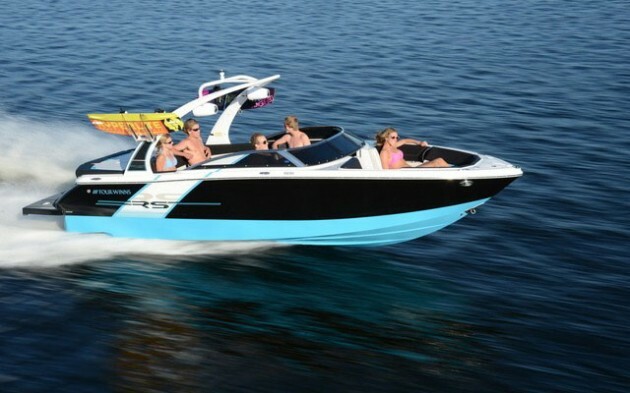 The H230RS comes on a trailer (base package MSRP is $65,385 with a 270-horsepower 5.0-liter Volvo Penta V8 and a single-prop drive). This isn’t the only boat in its class to include the trailer, but what’s interesting is that Four Winns makes its own trailers in its plant in Cadillac, Mich. Because the company makes both products in one place, the trailer is designed specifically for the boat so that the bunks on the trailer align with the stringer system. That means the trailer is supporting the boat in the strongest place. 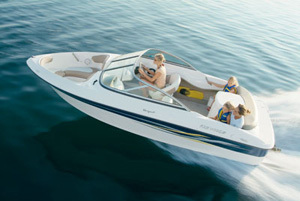 Other Choices: Interested shoppers will also want to see the Rinker Captiva 236 BR. 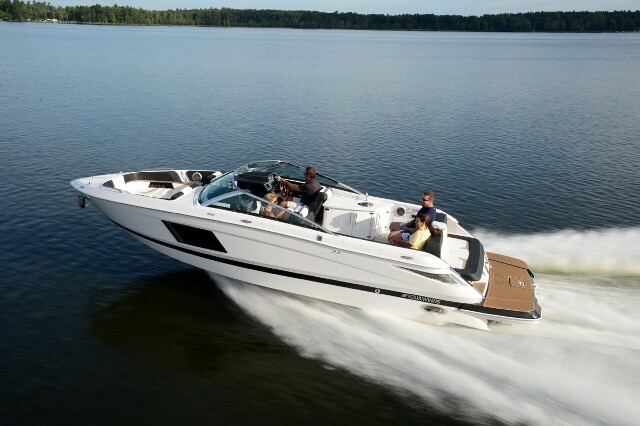 The Cruisers Sport Series 238 will be of interest as well, and the Sea Ray 230 SLX is another natural competitor. See Four Winns H230RS listings. For more information, call 231-775-1351 or visit Four Winns.